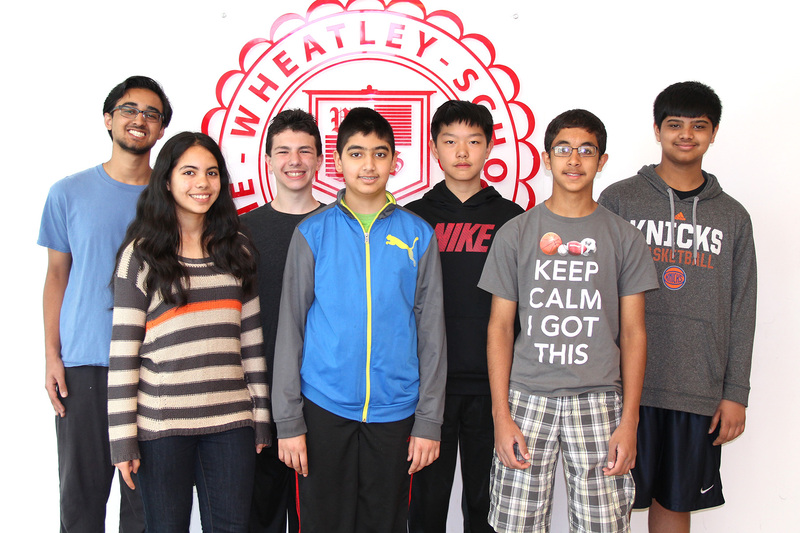 Wheatley Students Win Gold in the 2015 National Spanish Exam Competition! Eight Wheatley students have been awarded Gold status for their performance on this year’s National Spanish Exam. This academic competition tests skills in listening and reading comprehension, vocabulary and structure. This year’s gold winners include: 8th graders Khavi Ahmed, John Scudero, Mana Shukla, Vedant Singh and Brandon Zhu, freshmen Adeel Anwar and Sana Haroon, and junior Jaclyn Stroud. The students’ scores placed within the top 5% of all students who took the exams in their respective levels. The National Spanish Exam is sponsored by the American Association of Teachers of Spanish and Portuguese. The Long Island Chapter of the organization will honor these students at a special awards ceremony on May 29th at North Shore High School. Thank you to Joan Anderson for the write-up and Susan Checkla for the photograph. ← Cecilia Jozef Student Earns 3rd Place at Italian Poetry Contest!